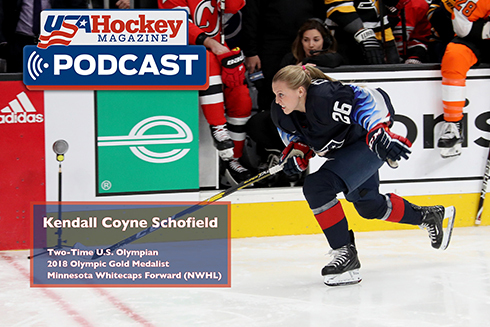 This podcast features Kendall Coyne Schofield, fresh off her barrier-breaking performance in the Fastest Skater event of the NHL All-Star Skills Competition and her broadcasting debut on NBCSN. The two-time U.S. Olympian and 2018 Olympic gold medalist joins us to talk about her whirlwind week, the growth of girls hockey, the upcoming Rivalry Series with Canada and much more in the latest episode of the USA Hockey Magazine Podcast. Follow us on Facebook, Instagram, and Twitter for more from USA Hockey Magazine. Stay tuned for our next podcast, which goes live Thursday, Feb. 7.